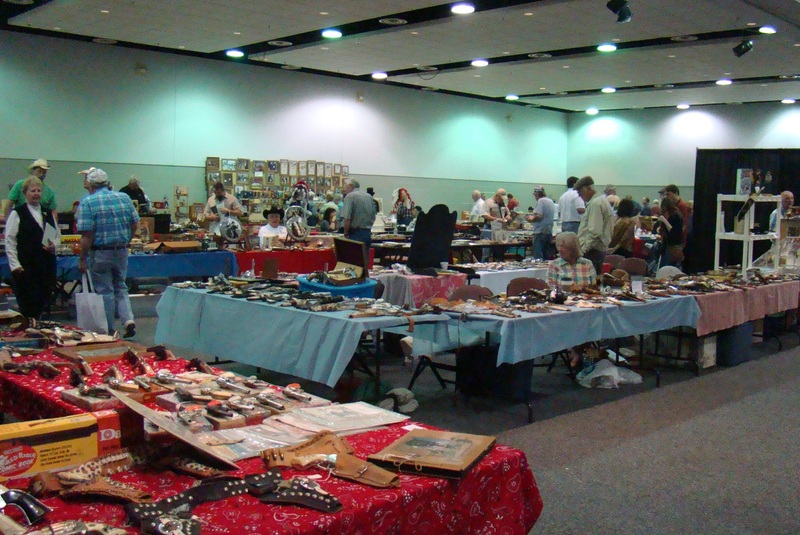 Vendors from all over the United States displayed their western wares. 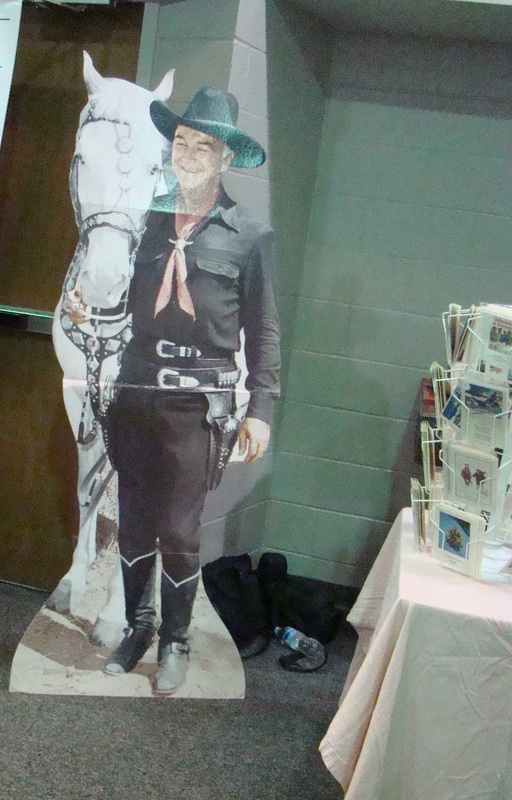 Hoppy and his horse greeted visitors to the 25th Hopalong Cassidy Festival. 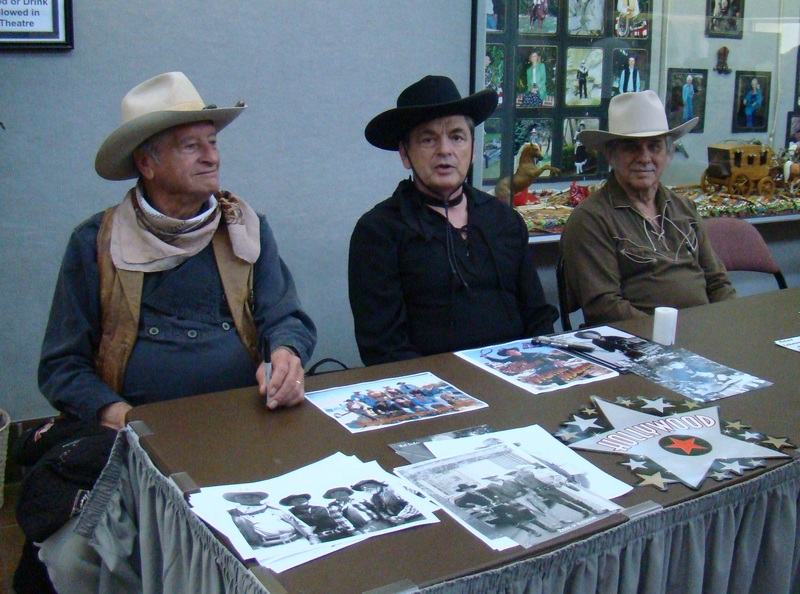 Old friends and familiar faces congregated May 1-3, 2015 to honor the last Hopalong Cassidy Festival. Started in 1991, this year marked the 25th Anniversary and the final year for the festival. But the enthusiasm did not end even though participants knew the end was in sight. William “Hopalong Cassidy” Boyd grew up in the Cambridge area where he attended Park School and the Second Presbyterian Church. The Silver Anniversary of the festival celebration took place at Pritchard Laughlin Civic Center near Cambridge, Ohio. 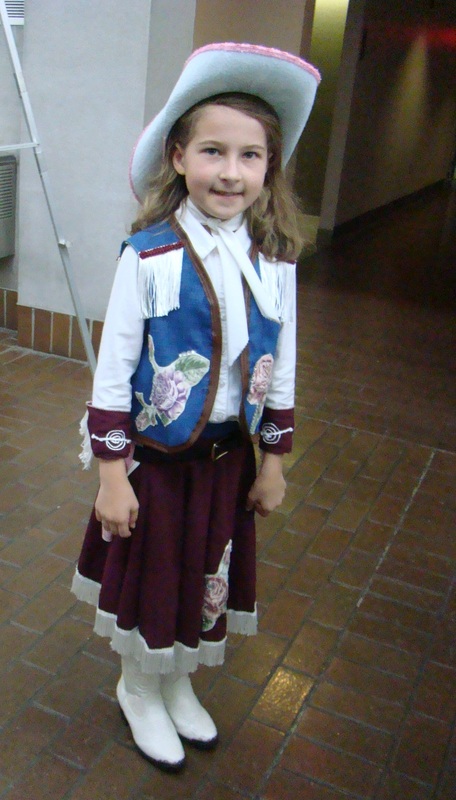 This little cowgirl enjoyed the day. 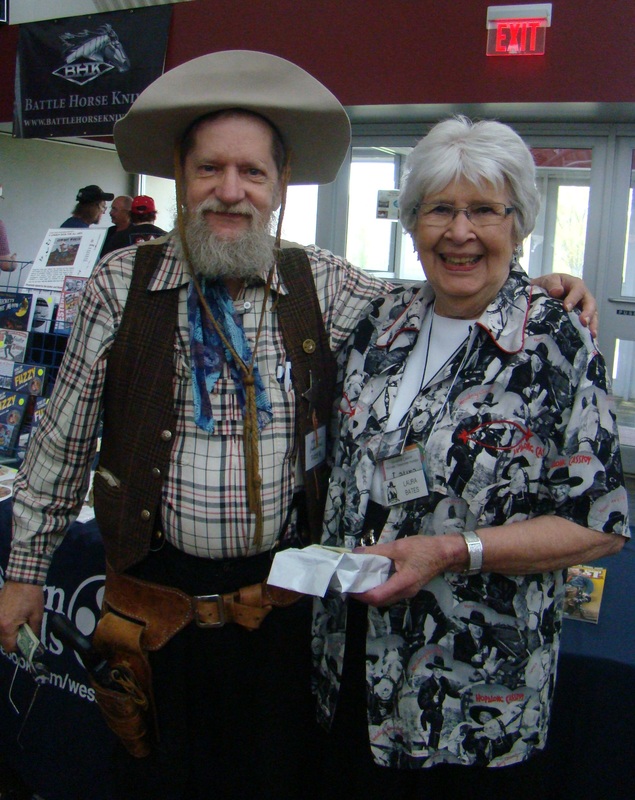 Laura Bates, founder, has been the driving force of the Hopalong Cassidy Festival all 25 years. Laura became good friends with Grace, Hoppy’s wife, and Laura’s knowledge and collection of Hoppy memorabilia grew and grew. When Laura speaks of those dedicated followers who attended year after year, she fondly calls them “faithful buckaroos”. Getting a festival together requires lots of hard work. Making the connections with nearly a hundred vendors in itself would take a lot of time. Add to that the necessity to connect with old western stars and you can see how overwhelming the task would be. Besides, the general public today does not have the intense interest about those old westerns as those who grew up watching them. Look-a-likes John Wayne, Lash LaRue, and Bob Steele enjoy visiting with the crowd. Old friends, who dressed as look-a-likes, enjoyed posing together. John Wayne, Lash LaRue, and Bob Steele definitely looked their part. Most people were selling pictures, but some were giving them away. Vendors set up tables selling all kinds of Western and cowboy items. Francis Reeves and his wife got married in the same church Hoppy attended in Cambridge. 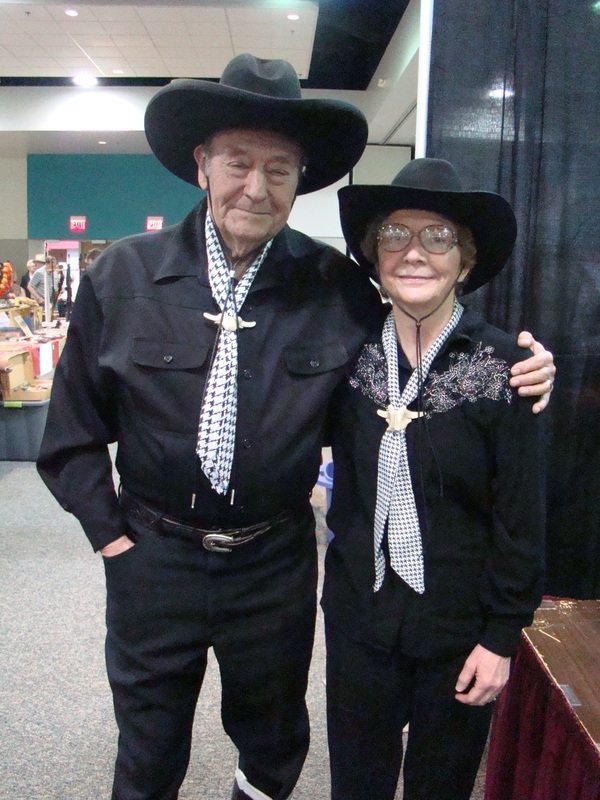 Most participants come across as common ordinary folks, who enjoyed talking about their life and connection to Hopalong Cassidy. One interesting gentleman, Francis Reeves, had won six Hoppy look-alike contests over the years. His initial contact came through Fred Scott, who sent a card to him telling him about the festival. Twenty years ago Francis married his wife in Cambridge at the Second Presbyterian Church, the same church Hoppy attended. At 85 years old, Francis is still muscle bound and full of energy. When asked about the end of the festival, Francis remarked, “Everything comes to an end.” He looks forward to better things ahead. Fuzzy and Laura Bates, founder, give a final farewell. 25th Anniversary tee shirt designed to honor Laura Bates. Fuzzy of American Westerns designed the logo for the festival. This year he designed a special tee shirt for the 25th anniversary. He included a picture of Laura Bates on that tee, as a special surprise to her. But like many, Fuzzy travels around the country with his acts and displays, covering seventeen different states. Hoppy plans for the future include a bronze statue of Hopalong Cassidy in Cambridge, Ohio. The Hopalong Cassidy Museum will still contain Laura’s collection and she will probably stop by and charm visitors with her stories. Mysterious Bigfoot Legend – Skeptic or Believer? “Absence of evidence is not evidence of absence.” This quote from distinguished astronomer, Dr Carl Sagan, is popular with Bigfoot investigators. They are still searching for more clues that will prove their Bigfoot theory. Guernsey County, Ohio is one of those “hot spots” for Bigfoot investigators. 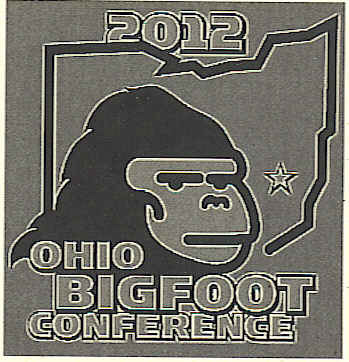 Annually, the Ohio Bigfoot Conference gathers informative speakers to share their adventures with the gathering crowd. The 2012 conference was held at Pritchard Laughlin Civic Center near Cambridge, Ohio after previously being held at Newcomerstown and then Salt Fork Lodge. The move was partially made to accommodate the growing attendance as last year at Salt Fork they overflowed the conference room and many were forced to watch the program on big screen TVs in the lobby. The Bigfoot enthusiasts have increased from less than a hundred in 1989 to over seven hundred at present. The goal of the Ohio Bigfoot Organization is to find, recognize, and protect what many believe to be an unclassified primate, commonly known as Bigfoot, and residing in North America. 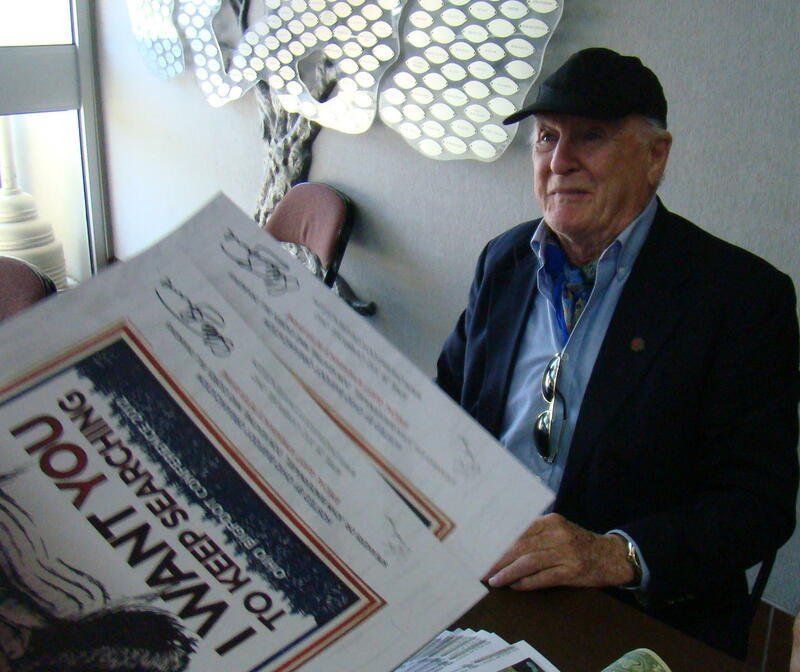 A highlight of the meeting this year was the appearance of legendary Bigfoot seeker, Peter Byrne, who fascinated visitors in the lobby with his Bigfoot stories. Peter, the star of the show, has led professional expeditions in search of Yeti and Bigfoot. His book, The Search for Bigfoot, tells of his fascinating life exploring since 1946 in the Himalayas for Yeti, the Himalayan version of Bigfoot. Even though he is 86 years old, Peter still has a curious mind and continues his search for Bigfoot on the Oregon Coast. Before the scheduled speakers, curious visitors checked out tables in the lobby with lots of unusual items. Of course, there were videos of possible sightings as well as plaster casts of large footprints left behind by something or someone. Lengths of these footprints average about 16″ long, but some range up to 22″, and are much wider than a human footprint. 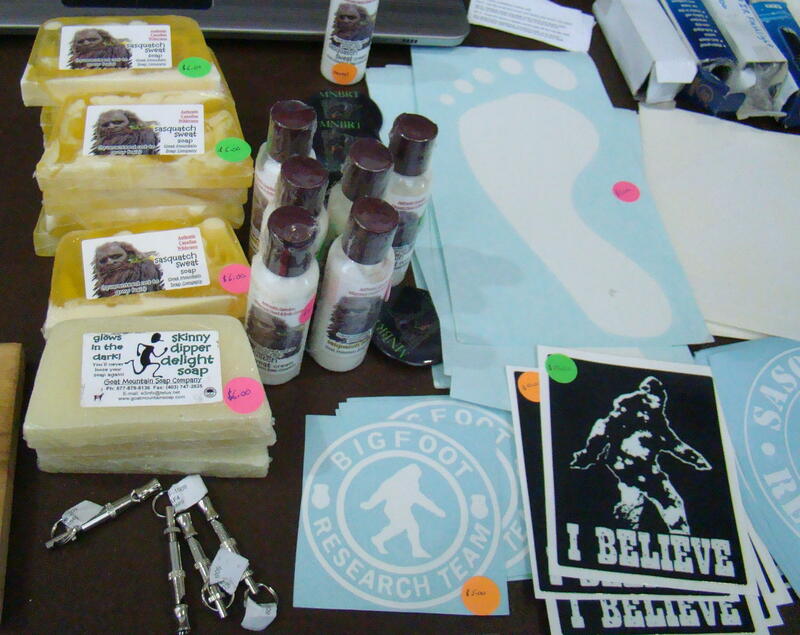 Soaps and lotions carried the name Sasquatch, the Canadian Bigfoot rendition. One popular soap made in Canada bore the title Sasquatch Sweat Soap – Guaranteed not to grow hair. Sasquatch Sweat Cream was also available. Not certain if their purpose was to repel or attract Bigfoot. 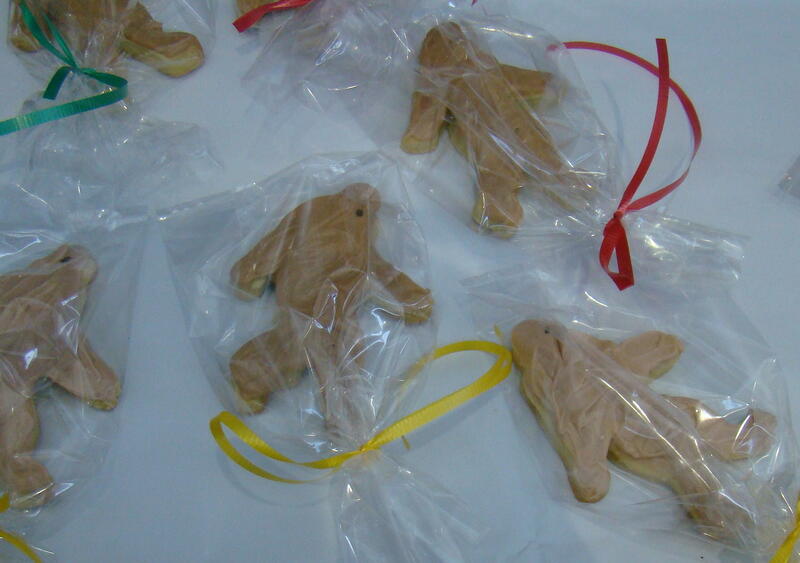 There were even cookies for sale shaped like…yes, you guessed it, Bigfoot. The first speaker of the day was past president, Don Keating, who led this conference for 23 years. He first heard of Bigfoot in 1984 from a story in the Newcomerstown News that told of strange sightings of a large, hairy creature in and around the Newcomerstown area. Later Don began investigating some of the unusual sightings he heard from neighboring Guernsey County as well – glowing red eyes, large footprints, and very tall creatures. Salt Fork Lake area became one of those places where frequent strange events seemed to occur. Often something eerie seemed to be happening at Hosak’s Cave in the late evening hours, especially when there was a full moon. For their safety, people were even strongly advised to leave the area by park rangers. Grabbed a Bigfoot cookie to munch while listening to additional speakers which included: Dr John Bindernagel, wildlife biologist; Bill Draginis, surveillance and security expert; and Mike Esordi, crypto zoologist with artistic abilities. 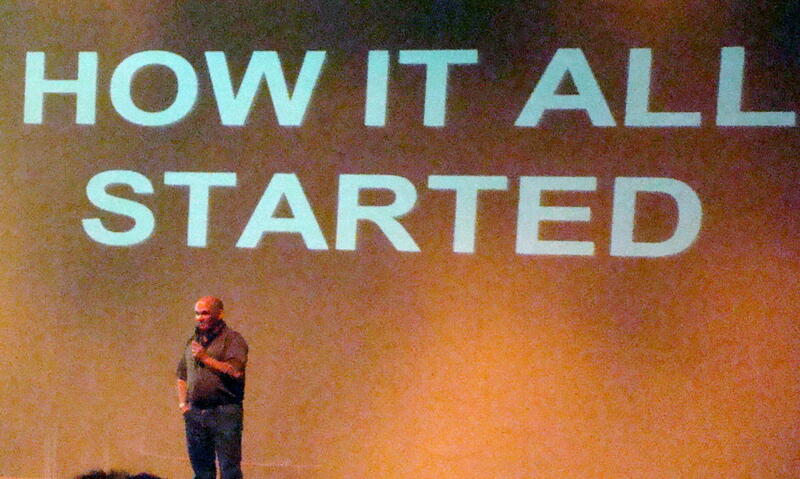 All are active in Bigfoot research and frequently share their knowledge through lectures around the world. Whether you believe in the existence of Bigfoot or not, you could hear some interesting adventures at the conference. Maybe some evening you will want to spend the night at Salt Fork State Park. If you listen carefully, you might hear strange calls, branches breaking in the woods, or rocks being thrown into the lake. Could these sounds be made by Bigfoot? Keep your eyes and ears open! Salt Fork State Park is located just five miles north of Cambridge, Ohio just off Route 22. I-70 and I-77 intersect close by so you will have easy access to the area. While in town, stop at Mr. Lee’s or Theo’s Restaurant as both have delicious home cooked meals at reasonable prices.